Ready for Fun This super sporty 4-stroke scooter makes going places fun, even commuting to work or school. Modern Powerplant Fuel injection provides smooth, seamless power — and nearly instantaneous starts. Sharp Sports Style Supersport-inspired colors and graphics and sharp single headlight enhance the sporty character of the Zuma 50FX. Scooter Practicality Zuma 50FX’s stepped seat provides an open and roomy ride, plus lots of locking storage underneath and added convenience touches like an inner pocket and fold-out hook. 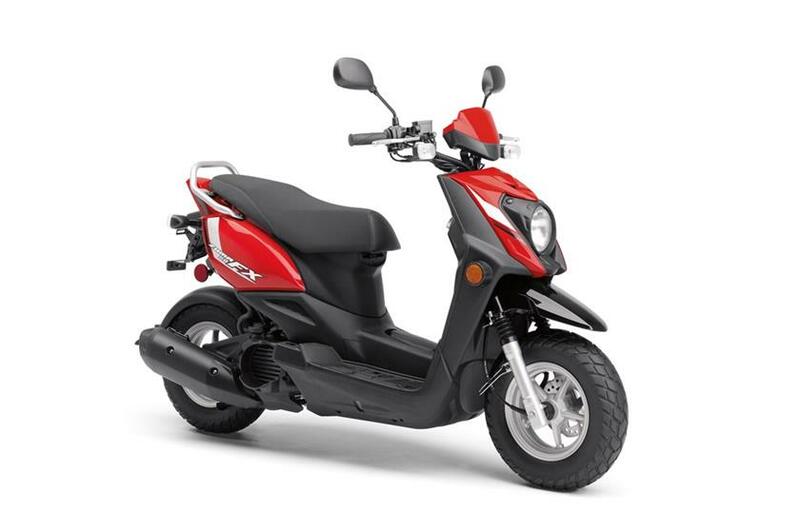 Awesomely Efficient The Zuma 50FX achieves fuel economy up to an estimated 132 mpg* with a fuel tank that holds 1.2 gallons of gas.